That is at bottom after close to two weeks on the road the only thought to keep moving ahead, when carefully prepared plans are hanging like a stack of dominos swaying with every burst of wind from circumstances. 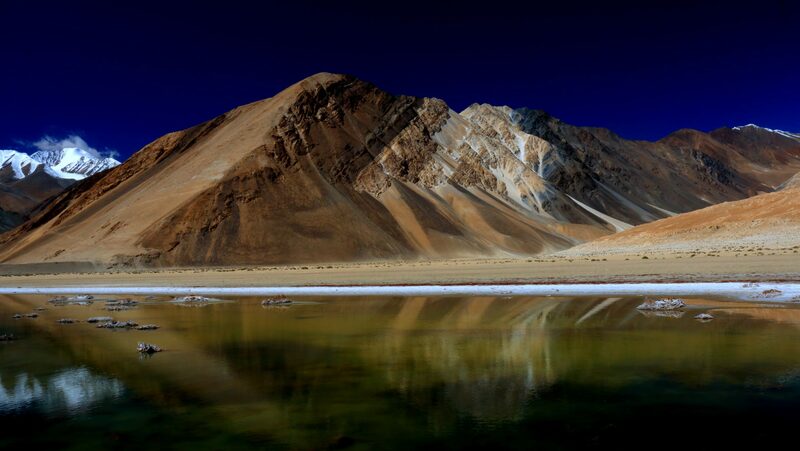 Ladakh, the gateway to many a imagination, the harbinger of joy and struggle, of peace and tranquility. 1030 in the morning and I am on a lonely sand swept broken road, camouflaged desert bunkers are all around me and I can imagine sharp eyes peering at me through the slits. This is the region of harsh reality far long away from the touristic hordes that visit Kutch advertised by Mr Amitabh Bachhan.